After a number of weeks of increasingly intense speculation, which has been fuelled by a number of revealing visual leaks, Google has finally unveiled its expected two new smartphones at today’s media event. The search engine behemoth has been working in conjunction with LG and Huawei to design, develop and build two new Android-powered devices that will perfectly showcase its new Android 6.0 Marshmallow OS. We now not only have official confirmation of the two new devices, but also details, technical specifications, price and release dates. 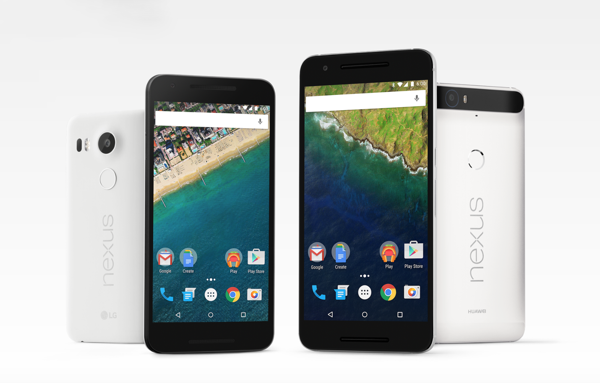 Nexus 6P is Google’s flagship Nexus device for 2015. Manufactured by Huawei in association with Google, this device features 5.7-inch WQHD AMOLED display with 2560×1440 resolution and manufactured from Gorilla Glass 4. The stunning, tough display is housed in an all metal unibody type shell that certainly makes it stand out from the crowd. From an internal perspective, the 6P falls in line with pre-announcement speculation by including a Qualcomm Snapdragon 810 v2.1 processor with an accompanying 3GB of RAM. A 3450 mAh battery capacity should see that it stays powered up long enough to provide an excellent experience to all those who purchase it. There’s also dual-fronted speaker, USB Type-C (no microUSB) and an integrated fingerprint sensor called Nexus Imprint on the rear of the hardware. Unfortunately, the hardware doesn’t include wireless charging or Optical Image Stabilization (OIS) to compliment the 12.3-megapixel rear, or 8-megapixel forward-facing cameras. 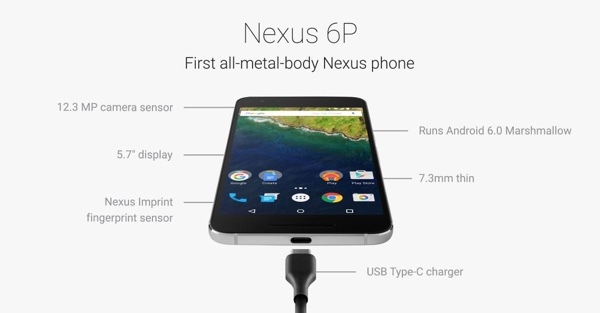 While there’s no wireless charging support, Nexus 6P does include support for quick charging using a special charger. As expected, Android 6.0 Marshmallow will be running on the device out of the box. Those interested in Huawei’s hardware will have the 32, 64, and 128GB options, and will be able to choose from one of three color variants; Black, White or Silver. Prices for the entry-level 32GB starts at $499.99, rising to $549.99 for the 64GB variant, and $649.99 for the all-singing, all-dancing top of the range 128GB version. There’s no support for external microSD storage. Pre-orders for the hardware start today in the United States, United Kingdom, Ireland and Japan via the Google Store . 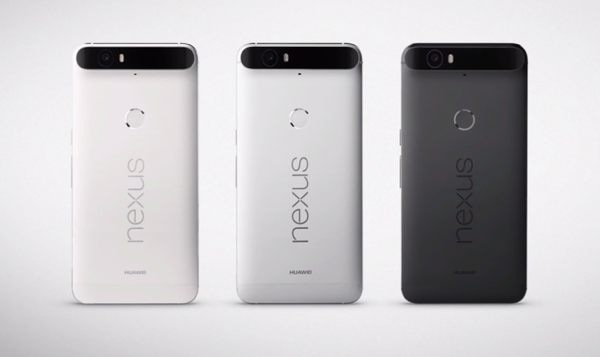 After months of speculation and fairly detailed leaks, the LG-made Nexus 5X is official now. The 5.2-inch beast serves up a gorgeous full HD 1080p display manufactured from Gorilla Glass 3. If you remove the outer casing of the device you’ll be greeted by a Hexa Core Qualcomm Snapdragon 808 processor with integrated Adreno 418 GPU and 2GB RAM. There’s a 12.3-megapixel rear camera that offers 4K video recording, but unfortunately no OIS (Optical Image Stabilization) support for photos and videos. There’s also the expected 5-megapixel forward-facing shooter for those exceptional selfies. 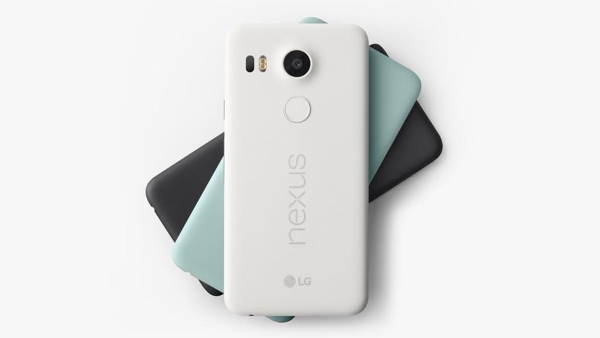 Like the 6P, the Nexus 5X features an integrated biometric device on the rear casing of the phone called Nexus Imprint, which will interact with Android 6.0 Marshmallow to authenticate the owner. There’s USB Type-C support, but no microUSB. It is available in 16GB or 32GB variants with no support for that to be expanded via external memory solutions like microSD. LG has also negated to include wireless charging for this particular release. Aesthetically speaking, the Nexus 5X is offered in either an Ice Blue, White or Carbon Quartz finish. Prices begin at $379.99 for the entry-level 16GB version and $429 for 32GB version, with pre-orders starting in the United States, United Kingdom, Ireland, and Japan today through the Google Store. Both phones will come unlocked. Both phones are compatible with Google’s Project Fi. Both phones will start shipping in October. Both phones will have 90-day free trial of Google Play Music and in U.S., they will come with free $50 Play Store credit too. Why rear fingerprint sensor is so bad? It makes sense too. When you hold the phone you don’t put any finger in the back? Love the phone really. Google in the right direction.